Jason Brunen is the Director of Global Solutions Engineering, leading Digital Realty’s Sales Engineering teams supporting the organizations largest customers from a sales support and engineering perspective. He and his team focus on developing and deploying rapid cost effective data center solutions for today’s scale and hyper scale customers globally. 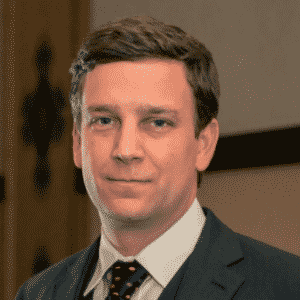 Jason has previously led data center operations teams for Expedia Inc, as well as the Highwinds Network Group. 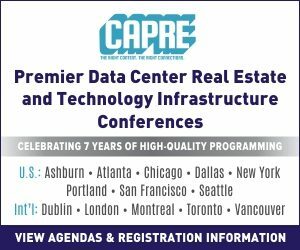 Jason is a frequent speaker at CAPRE Data Center Summits, so we connected with him to learn about the latest at Digital Realty and his latest observations on the data center game. CapRE: Thanks for chatting with us today, Jason. How has 2019 been shaping up so far at Digital Realty? Brunen: While we haven’t reported any results for 2019 yet, I can tell you we leased more in 2018 than at any point in our history. On the pre-sales engineering side, 2018 was one of the busiest years we’ve had to date, and it came with a lot of new challenges from our largest customers. For example, Northern Virginia set new records on many fronts in terms of our pace of construction and absorption of product. A good majority of the customers from the prior year returned to take even larger chunks of data center space than we’ve historically seen, with a lot of product customizations, at which Digital Realty excels. Cloud growth continues to accelerate, and the number of customers who approach data centers from a hybrid model has equally increased. That has been a healthy trend in 2017-2018 certainly, and I don’t see anything changing in that trajectory in 2019, based on what we’re seeing today. We’re doing our best to match inventory with demand, re-stocking our land bank, investing more in construction, and staffing up to stay ahead of a healthy and competitive market. CapRE: Tell us more about the Phoenix market. What makes it tick? Brunen: Phoenix is interesting. A lot of people consider it Tier II, but there’s been a lot of growth underway here within the past several years. We have four sites here, and we’ve seen quite a few competitors enter the market over the past 2-3 years. Some of that has been fueled by tax incentives, which Digital Realty led in 2015 along with several other providers in the Phoenix market to drive more data center demand and compete on a national scale. Several years later, Phoenix is moving up into the top five markets in terms of demand, according to CBRE’s Q3 2018 Data Center Demand report, and that’s been a positive change for us. It’s always been a healthy market for Digital Realty, and as the owner/operator of the telecom hotel, we’re in a great position to win business in the market. With land in Chandler and Mesa, we are just waiting for the right timing to bring new product online – which has historically been quickly consumed. We’re looking forward to continuing our growth in the great state of Arizona. CapRE: Is that demand coming from neighboring markets like California? Brunen: We’ve seen a decent amount of business exiting California. Quite a few of our customers are in the Bay Area and they need some presence there, but they are also trying to move some of their compute out of the market, which is notoriously expensive in comparison to some nearby markets. We see a lot of that exit demand going to Phoenix and Dallas with Digital Realty. We are also seeing some demand going to Reno and Las Vegas, but we’re not in those markets, so it’s tough to comment too much on those. Outside of just that particular demand signal, we are also seeing quite a bit of multi-site demand. We see customers who have a presence in an existing location such as Ashburn but want a disaster recovery site on the West Coast, and are trying to avoid California, where the cost of power, taxes, and real estate can be prohibitive. Phoenix is a nice alternative, and I think we as an industry have seen some nice growth here as a result. We typically see those customers that have a two-pronged approach – for example, an “East/West configuration” – develop a presence in Phoenix and Northern Virginia, or Phoenix and Chicago. For customers who take on more of a “three-pronged approach” – with Phoenix or Silicon Valley on the West Coast, Chicago or Dallas for a Midwestern footprint, and then Ashburn or New York City or New Jersey for an East Coast presence – Atlanta has also started to pick up for customers looking for more cost-conscious options. But I’d say a majority of that East Coast demand lands in Ashburn. 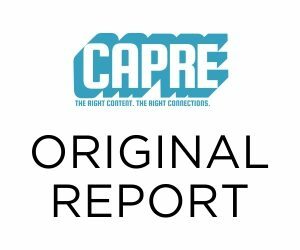 CapRE: What are people talking about out in the trenches? Brunen: There are two large conversations I keep seeing coming up regularly. One is about this amorphous description of “the Edge” and how it’s going to change the data center. Are we going to see more data centers in Tier II and Tier III markets? Or will it maybe not materialize? That’s interesting for us, as a large-footprint provider. Our heritage has been in large-scale buildings with multiple megawatts, but we have evolved over the last 10 years, with new acquisitions to offer some of that more Edge reach and colo-specific needs than we have historically. So, will the Edge stop at that market level, or will it wind up at the base of the cell tower? Multiple small data centers in every major NFL city? At power plants? Lots of theories, but it will be interesting to see how it plays out over the next 24-36 months. The other conversation is the opposite – the hyperscale stuff. The middle of the market is folding in between two pieces – the Edge, and then this stuff. But these mass computing centers – where will they reside? Not all compute will be done at the Edge. With consolidation of the cloud, those cloud providers are buying in larger chunks, being more aggressive, wanting more. We’ve had several buildings where pre-leasing has outpaced construction. hat’s been interesting and a challenge, as these customers all have their own customizations that are key to their business, and as providers, we need to be able to deliver those customizations quickly and cost-effectively. Oftentimes, some of our customers are building their own data centers in parallel, so managing costs effectively is key to a successful partnership. We usually build some speculative inventory, but in several cases recently, we’ve been fully leased before it even hits the market. So, the point has come where we may have to start multiple buildings at the same time in a single market to keep up with demand. CapRE: What’s the biggest challenge in your job right now? Brunen: Getting in front of customer demand, more than anything. In most cases, we cannot build inventory fast enough for our customers – or multiple customers may be racing to secure the same space in a given market. While that sounds like a relatively simple problem (after all, just build more! ), it’s not quite that easy. These buildings are bigger than ever, and the capital outlay is equally large. Too much inventory can be just as bad as too little. Build too much, and it will sit vacant, which is a poor investment. Build too little, and you might miss opportunities in the market for a while. The average building can take between six and 18 months, depending on requirements, maybe even longer, especially internationally. That can represent a substantial amount of revenue to miss by not having inventory ready for your customer base. We try to remain closely aligned with our customers and to become involved in their demand-planning cycles, so we can predict and deliver inventory just in time in key markets. I think we have done a good job, but it’s a tough one! CapRE: That must pose other challenges as well. Brunen: Yes. Access to contractors for that demand is a big challenge, for example. It is very tough. Most of the big firms cannot find sub-contractors to work with them fast enough. That’s an interesting one. These days, you want to roll from one project to the next, so you don’t lose these contractors. You may not get them back. CapRE: Wow. So, what’s next on the horizon for the industry? Where should we focus our attention? Brunen: The data center arena has changed a lot in the last few years. Look at AI, IoT, machine learning, etc. I think we’re going to see a lot more of that coming up, and it’s going to change the architecture of the data center moving forward. Density can change the architecture, for sure, but I think these technologies and other trends like them are going to require a whole new level of interconnection – between buildings, and between customers. Digital Realty is trying to stay ahead of that, with our Service Exchange platform, our continuing partnership with MegaPort, and a continued investment in interconnection technologies. I believe we will see much more integration of the stack than we ever have previously. A data center used to be just your space, power, and cooling – but today’s conversations are so much more than that. CapRE: Last question. What are you hearing from customers lately? Brunen: If I had to look back five years, probably 10%-15% of our conversations revolved around what other customers are in the building from a cloud on-ramp and interconnection perspective. It was an item to discuss, but it wasn’t a key buying requirement. Today, at least 85% of our meetings begin with that – who’s here, to whom can I connect, what cloud on-ramp can I access, and what technologies do you have to make it fast, easy, and affordable? These apps need access to that data all over the world. That’s why you’re seeing data center providers making significant investments in these services and platforms – because their customers are moving in the same exact direction. CapRE: Got it. Thanks for your time Jason.